She owes her title to the tradition that she appeared miraculously in these mountains. Her reputation for granting miracles is so great that people of all religions and even atheists come to her with their needs. Most famous among these pilgrims was Mother Teresa of Calcutta. She came to the Black Madonna when she was 17 years old and it is here that she heard God's voice calling her to become a missionary. 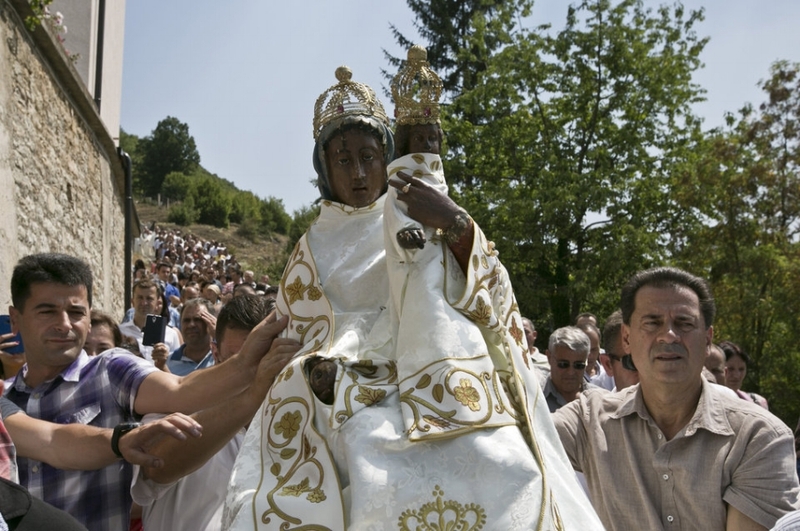 The feast day of this Lady of the Black Mountain is celebrated with a great procession on the feast of the Assumption of Mary into Heaven, August 15th. For more information watch this video or read this article.